College basketball is now in full swing, and it won’t be long before we start talking about tournament-bound teams and those that need a little push to get into the postseason discussion. What better way to get that push than with a rowdy, supportive student section at your back? College basketball has always been known for its passionate student fans, so here are five of our favorites. 1. 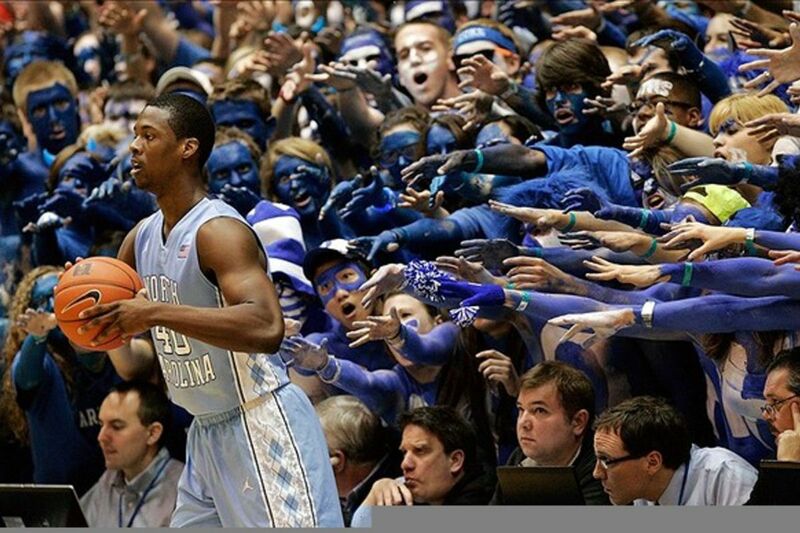 Duke Blue Devils - Known as the Cameron Crazies, the student section of Cameron Indoor Stadium has long been the envy of many college basketball teams. The arena itself is small and cozy enough that fans are right on top of the floor, and the student section starts just above floor level. Opposing players even have to inbound the ball with students lingering inches away! 2. Pittsburgh Panthers - The student section for the Panthers is known as the Oakland Zoo, and the rowdiness of the fans certainly makes it feel like a zoo. They’re loud all game long and make sure the opposition knows they’re there. Just try making a free throw when facing the Oakland Zoo. We dare you. 3. 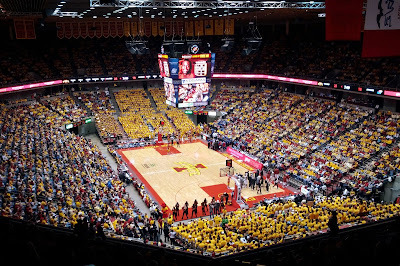 Iowa State Cyclones - What’s worse than one student section to deal with half the game? 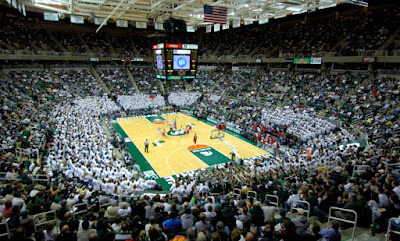 The answer is two student sections on either side of the court. Iowa State has positioned two sets of bleachers under either hoop and filled them with over 2,500 screaming Cyclone fans to make sure the opposition never gets comfortable driving to the basket. 4. Michigan State Spartans - There’s nothing more cozy and inviting than a 360-degree view of screaming basketball fans trying to disrupt your focus. Lovingly call the Izzone after men’s head coach Tom Izzo, the student section in East Lansing wraps entirely around the floor, making for an intimidating atmosphere. 5. Arizona State Sun Devils - ASU gets all the credit for having the most creative approach to disrupting the other team. The student section in Tucson features the famed Curtain of Distraction, where students step out in colorful and hilarious outfits to distract the opposing team while they attempt free throws. It’s located right under the hoop and celebrities regularly get in on the fun! We’re bound to see plenty of passionate and loud student sections this season, and we certainly didn’t hit on all the great student sections in college basketball. 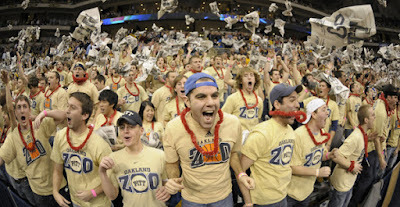 Be sure to leave us a comment and vouch for your school’s fanbase!